In the following article, we are going to take a look at the comparisons between Nikon D800 and Nikon D810 and see what things that have been added and changed. For several years, Nikon D800 has become one of the world’s most popular professional cameras, featuring the world’s first 36.3 MP full-frame sensor, ultra-high dynamic range, impressive AF, and weather-sealed magnesium alloy construction. How does Nikon D810 compare? On the display sector, Nikon D810 comes with an improved LCD screen with a higher resolution, as well as an improved optical viewfinder featuring better and brighter coatings. There are some ergonomic changes; the grip is noticeably better, and there are some new buttons on the back of the camera. We are also really happy that the battery life is improved dramatically – Nikon D810 is able to shoot up to 1200 pics on a single charge, as opposed to Nikon D800’s 900 shots. Nikon D810 comes with an improved processor that is significantly faster than that of Nikon D800. You can expect an increased continuous shooting speed as well as an increased AF performance. Of course, one of the biggest highlights is the new shutter mechanism that allows Electronic Front-Curtain Mode in Live View, which allows the camera to start recording exposure without moving the shutter, closing only at the end of the exposure sequence, entirely eliminating shutter vibration. Timelapse photographers would definitely love Nikon D810 – the maximum number of frames has jumped to 9,999 from the previous 999 of Nikon D800, and it comes along with great options such as exposure smoothing. There is a new “Auto ISO” option in the Manual Mode for shooting videos to automatically adjust brightness according to the scene. Finally, Nikon D810 features the sRAW file support, which promises clean RAW images even at ultra-high ISO levels. 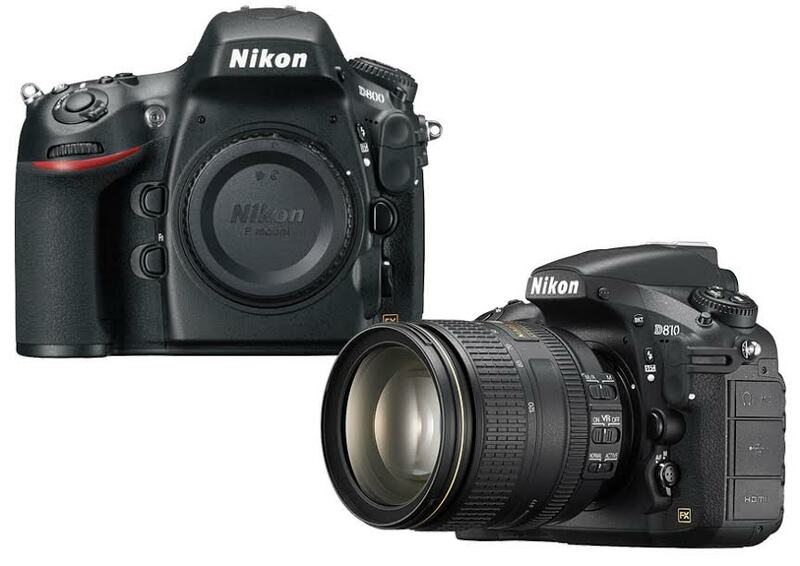 Nikon D810 is a huge improvement from Nikon D800 with many added and improved features. It offers enhanced image quality and performance. It is definitely worth the money.